The new 2017 Tiguan is available solely with a 184 hp 2.0-liter engine and 8-speed automatic transmission. Specification levels and technology is up on the old model, S and SE entry level specifications offer a6.5-inch touchscreen, smartphone integration and rearview camera as standard. The SEL and SEL premium pack models offer a lot more kit with some notable features being the adaptive cruise control and 12.3-inch virtual cockpit. Comprehensive driver safety features are standard on all but the base model. 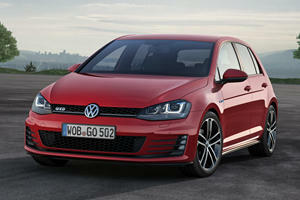 Car trend spotter here, ready to fill you in on a new style of car design that’s come into vogue. It’s most apparent when looking at a 2017 Volkswagen Tiguan and then comparing it to the 2018 model that VW sent us. We like to call this styling phase “the sharpening.” Across the auto market, carmakers are realizing that it’s not just SUV proportions that customers love, it’s the stout defined looks too. Most manufacturers did away with masculine styling when building crossovers and instead made them soft and pudgy. Now there’s a push to reverse that mistake, even on the Tiguan. With the full size Atlas pioneering Volkswagen’s take on the new style and the Touareg having gone extinct, it’s all on the new Tiguan to appeal to that middle segment of the SUV class that’s hotter than the American Southwest’s plane-grounding heatwaves. That may be why us Americans miss out on the shorter wheelbase version of the Tiguan that’s sold abroad and instead are stuck with the longer three-row version. The newer body style looks much better in the eyes of a driver that needs a masculine car to define his gender. Or at least it does when slathered in the shade of White Silver that our Tiguan wears, but we’re sad to say it makes no improvement to the anonymity of VW’s smallest SUV. Throughout the week the Tiguan was in our possession, there were a few instances where we’d thought it was stolen after being unable to spot it in a sea of parked cars. The manufacturer plates from Michigan were the best way to spot it. Seems Volkswagen tried to remedy the previous Tiguan’s ugliness by making the rear plain as snow. 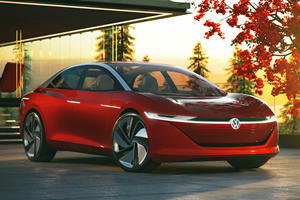 The view from the front is pleasant thanks to the Atlas grille, but looking at it from the side reveals how VW tried to kill two birds with one stone, appealing to crossover fans with car-like looks on an SUV. The entire thing, body lines included, seems to be angled towards the front wheels and front end sits low with the overhang being a target for concrete parking lot blocks. Despite that, the Tiguan handles just like an SUV, eschewing Volkswagen’s characteristically tight and predictable cornering for body roll and a comfortable waft, quite a new experience for those accustomed to the tight and linear VW cornering feel. Sold in a nation with crumbling infrastructure and degrading roads, that’s not exactly a bad thing and it makes the Tiguan more easily digestible to those with kids and aching backs. Our model was equipped so that the 2.0-liter turbocharged four cylinder engine sent power to the front wheels, but all-wheel drive is available as well. Power is adequate, with 184 horsepower and 221 lb-ft of torque snaking its way through the eight-speed automatic transmission once the turbo is spooled. The problem is that it takes time for that to happen. In dense traffic where the law of the jungle requires aggressive merging maneuvers, the Tiguan took its sweet time downshifting and getting the turbocharger in line with the requests sent to it by lead throttle feet. Once the engine is under load, it exhibits a coffee grinder rumble felt through the gas pedal and makes noises to that effect, cheapening the ambiance and reminding drivers that the limits are quickly met. Aside from those events, the Tiguan was quiet, absorbing bumps and behaving itself without complaint. The interior is a direct reflection of that. Titan Black cloth didn’t feel cheap and ugly but it also wasn’t trying to spoil occupants or wow them with aesthetic value. In typical German fashion, the Tiguan is ergonomically laid out, the controls being the only fun bits to play with on the steering wheel given the complete lack of steering feel transmitted to the driver. As always, Volkswagen’s infotainment system is easy to use. Having been given the lowest S trimmed Tiguan, not much is to be expected in terms of amenities, though USB ports and Bluetooth come standard, as they should on any 2018 vehicle. Thankfully our Tiguan is also equipped with the $850 Driver Assistance package, which comes standard on all higher trims and adds forward collision warning with autonomous emergency braking as well as pedestrian monitoring, blind spot monitoring, and rear traffic alert. The Tiguan’s forte, like that of any other Volkswagen, is nonsensical German engineering. No frills if they’re not needed, but for VW owners, pleasure is derived from doors that shut with a satisfying "thunk" and a brake pedal that always feels linear. Many of those qualities are missing in the 2018 Tiguan, but at least the 20 mpg we got in the city (the Tiguan is rated at 22 mpg city, 27 mpg highway, but our driving habits and unusually dense home base tends to erode those numbers drastically) gave the powertrain some justification. In total, our Tiguan came in at $27,095 with the $900 destination charge included. Reasonable and competitive but matched or eclipsed by the competition. Right about now the Tiguan sounds as enticing as a stale doughnut doesn’t it? Let’s set our complaints aside for a moment and look at why Volkswagen, an automaker capable as any, went this route with the Tiguan. For the most part, it’s because it’s what’s needed and what’s in demand. 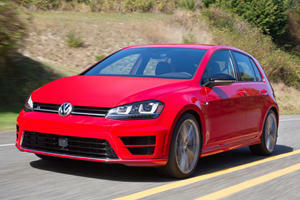 The characteristics we love about Volkswagen work well to make us enthusiasts happy, but families on a budget who need something comfortable, efficient, capable, spacious, and easy to use are the main beneficiaries here. 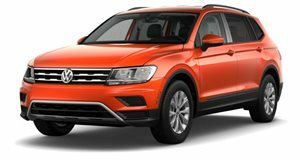 It’s a boon to this group of customers that Volkswagen made the Tiguan larger and added a third row while keeping the price fairly consistent. The handsome front end is just a savory goody for the rest of us to appreciate in our rear view mirrors. Unlike Tesla, it plans to consistently make money from EVs.